If you would like to save money and improve the environment, then choosing LEDs is the obvious solution. 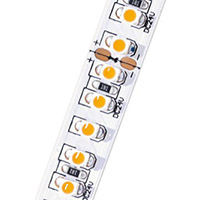 LED lighting is easy to install and you can start to enjoy the financial savings straightaway. The financial outlay of converting to LEDs was very high but fortunately as technology has moved forward, costs have come down and have therefore made LED lighting a much more cost-effective solution. Over the past fifteen to twenty years the power, colour binning and luminosity of LEDs has developed beyond recognition. As a result, the outstanding qualities of LEDs can now provide exciting solutions in an ever-increasing range of lighting applications. We believe quality is key and we therefore only supply the best LED lighting available – it is worth investing in good quality LEDs as they will last for many years, saving you money and time. One thing to consider when purchasing LEDs is the IP rating. This classifies the degrees of protection provided against the intrusion of water in electrical enclosures. The IP Code aims to give more detailed information than just simple terms such as “waterproof”. The IP Code (or International Protection Rating, also sometimes referred to as Ingress Protection Rating) consists of the letters IP followed by two digits and an optional letter. 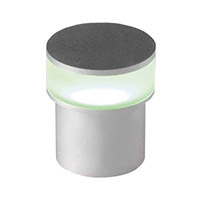 Lumens measure the total amount of visible light from a light source. The higher the lumen rating the “brighter” the lamp will appear. How many lumens will you need? This will depend on a number of things including the size and shape of the room, the height of the ceilings, the colour scheme, the beam angle of the light fittings and your needs as the user. Please contact us for help with this if required. 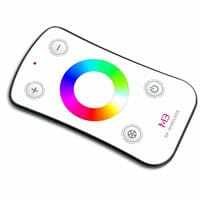 A lot of people think that LED lighting produces a cold light, but there are many different colour temperatures available. The colour temperature is measured in units called Kelvin (K). A low colour temperature creates a “yellowish” warm light, while a high colour temperature creates a cool, almost blue light. White LEDs are now available from 2000 – 10,000 Kelvin but the most popular levels are 2700 – 3000 warm white, 4000 – 4500 natural white and cool white 6000 – 6500. Technology now allows us to create colour temperatures from 2000 – 10,000 Kelvin which can be produced on special order in for linear form. 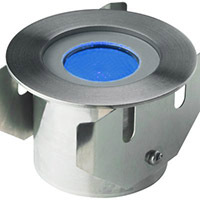 We sell the latest LED light fittings which are not always available on the high street. 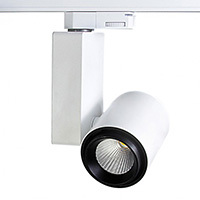 We have a full range of LED light fittings suitable for use in every room. These can be used as uplighters, downlights, wall washes etc. The main manufacturers of quality high output LED chips are Cree, Bridgelux and Luxeon. 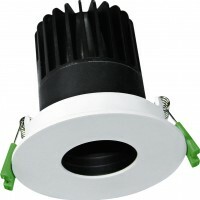 All of our light fittings use either Cree or Bridgelux LED chips. 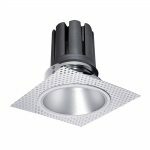 Visit our online shop to see the range of LED light fittings we have available. Whether you want to put recessed lighting under kitchen cabinets, illuminate some shelving or install some step lighting, we have a full range of aluminium extrusion for LED lighting. Our high quality LED extrusion lighting will give you new, innovative effective energy-efficient lighting for your house, office, hotel or restaurant. We use various types of LED strip which are housed in a various styles of extrusions with a variety of covers to suit every requirement. We provide a bespoke service to make installation easier and faster for you. We will pre-cut your extrusion and pre-solder the LEDs with the correct wiring option and supply this as a complete kit of parts ready for installation. This is available via our online shop – if you have any questions, please contact us.